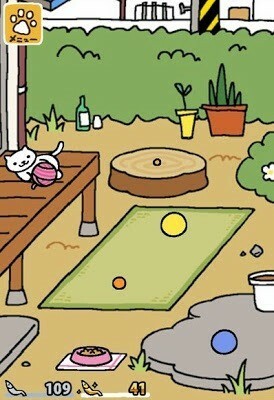 I must confess I am extremely addicted to this adorable cat sim game. 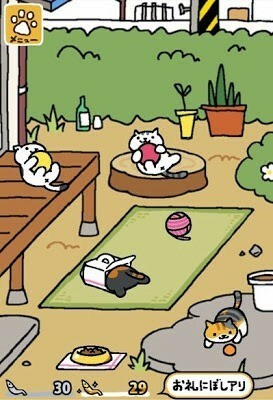 I open the app every day just to look whether my strategically placed toys have lured those cutesy furballs or not. Neko Atsume is a fun, unique and an endearing game. You can also play it on your iOS device. The new version adds more rare kitties, uncommon items and provides more remodeling options. And If you are bored playing this game, then you should check out our list of games like Neko Atsume or try another cool cat collector game called Kleptocats. The premise is simple: You buy and place toys on your virtual backyard. Cats come, play and give you some gold or silver fish once they leave. You can then buy more items with those fish to attract more kitties. 1. 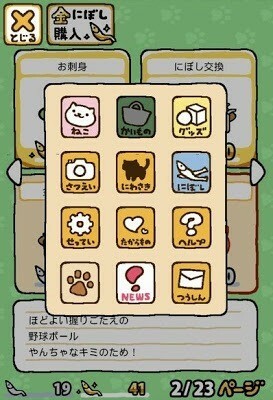 Tap on the paw icon (yellow background color) located at the top-left corner of the screen. This is the game’s main menu where you can get access to the market. 2. Tap on the shopping bag icon (green background). Here you will see plenty of items like cat food, balls, boxes, toys, recreational items, rugs even trampolines and radios! 3. Swipe left to explore items, but make you have enough fish to buy them. Some require gold fish; others can be bought for silver fish. Start with the ones that cost less fish. 4. Double-Tap on the item you want to buy. You will see a message, tap on the yellow text (which means yes). Grey text means “No”. A red cat stamp will confirm your purchase and the number of fish will be deducted from the total silver/gold fish you currently have. 5. Once you have purchased items, tap on the paw icon once again. This time tap on the box and ball icon (light yellow background). This is your mini storehouse where all purchased items are kept. 6. Double-tap on a toy pic that you want to place on your virtual backyard. 7. Place your toy in an area highlighted by a yellow circle. Now repeat the same procedure for your other purchased items. Make sure you have more than one item placed on your backyard if you want more cats to play with them. 8. Cats that leave their playground (yes your backyard is now their playground) will give you fish. Collect them by tapping on the white callout beside the fish count at the bottom of the screen. The callout will have a yellow border if the cat gives gold fish and silver border for silver fish. 9. On the collection screen, tap on the big white text box at the bottom to collect all fishes. 10. You can remove a toy from your backyard and replace it with another toy. 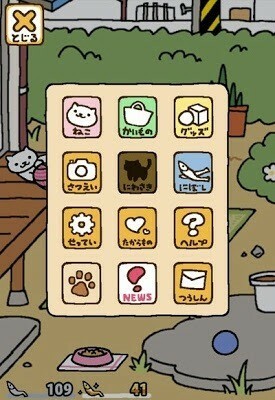 To do this, tap on the paw icon > ball and box icon. 11. 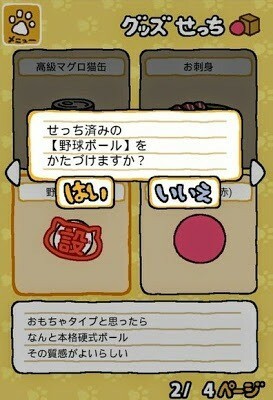 Now tap on a toy that you want to remove from your backyard (toy that has the red cat stamp). Tap again and then tap on the yellow text (yes) to confirm deletion. To replace it with another toy, double tap on a toy that you haven’t placed on your background yet, choose the spot (yellow highlighted icon). 12. Make sure you fill the cat bowl with food (thrifty Bitz or any other “Bitz”). Cats won’t visit your home if the bowl is empty. Tap on the empty bowl and then press the button to your left to fill it with cat food. 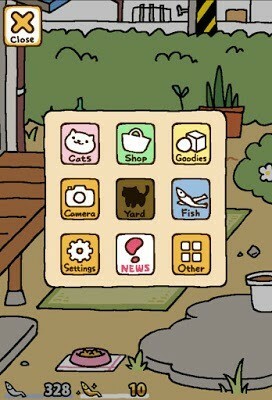 You don’t have to keep the app open to check whether your toy placement attracted a cat. You can come back again anytime, at lunch, when you are not busy or when you are bored. It may take seconds, minutes, even hours for cats to come, stay and play with the toys placed on your backyard, so check back regularly to see them play. 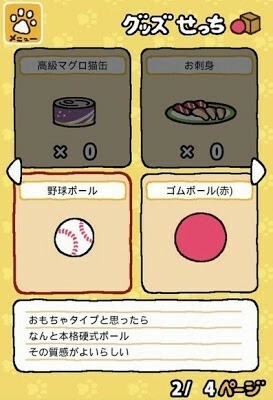 As explained in this mini-guide, you receive fish when cats stop playing with their favorite toys. 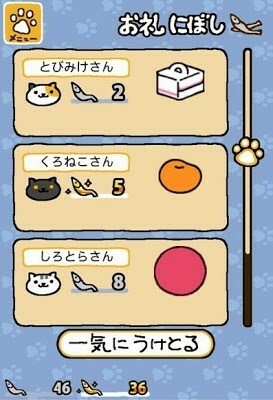 Several Neko Atsume players have noticed that playing with certain toys can give more fish than others. Yellowish ping pong ball, small cardboard box and big red rubber ball are among the cheapest toys that give more fish. With the ping pong ball placed on the backyard, a cat playing with it will give a maximum of 11 fish. You can earn a maximum of 8 fish with the big red ball placed on your backyard. 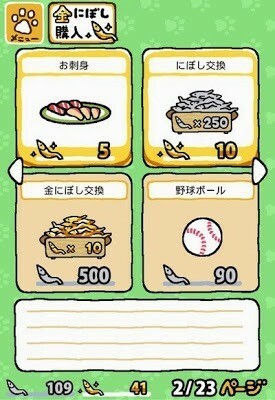 The small cardboard box will earn you a maximum of 13 fish and costs only 70 silver fish. The red ball require 60 the ping pong ball requires 50 silver fish. A cat playing in a toy deluxe house can give around 1-100 fish. You will need 40 golden fish to buy it. You will receive around a minimum of 2 and a maximum of 81 fish soon after a cat stops sleeping on it. Requires 20 golden fish. Temari means “hand ball” in Japanese. You will receive around 2-26 fish with this toy placed on your backyard. Requires 25 golden fish. A kitty playing with this toy usually gives around 2 to 20 fish. Requires 130 silver fish. is also one great purchase to get lots of fish. This J-style heated table attracts lots of cats. It costs 60 gold fish. Kotatsu attracts a rare cat called Saint Purrtrick. I have listed only those toys that give the maximum fish. 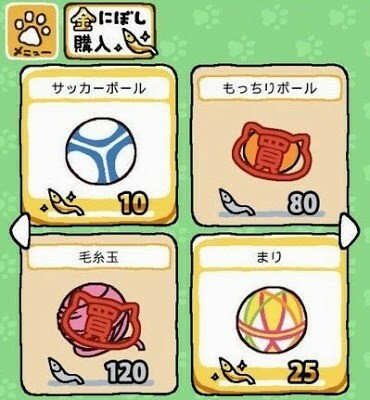 You can go to Kuro’s blog to find a list of all toys, the fish they can help you earn and fish required to purchase them. 1. Open the Neko Atsume app. 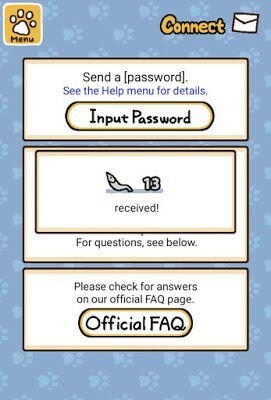 Tap on the paw icon on the top-left corner of the screen. Search for the “News” button and tap on it. 4. Next, go to Menu > Other > Connect (white envelope icon). 5. 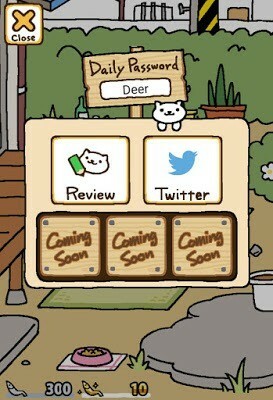 Tap on “Input Password” and enter the Daily password you noted down earlier. Tap OK. Enjoy your fish bonus. Password changes daily. So make sure you check back every day to get your rewards. On the fifth consecutive day, inputting password will earn you a free Ritzy Bitz, a high quality cat food that may attract uncommon cats. The latest update lets you automatically place your purchased toys in your yard. Using this new feature you can switch to a different toy placement layout. The AI decides which toys should be placed in which areas. However, pressing the Auto-Set button will remove your manually placed toys. Basically, it just rearranges stuff, and saves you time and effort in placing your toys in your yard. Go to Menu and tap on Goodies. You can find the Auto-Set button just beside the menu button. Mementos are gifts that you may receive from kitties if they like you. Chances of getting presents are higher if you place their favorite toys or feed expensive food, although there’s no guarantee that a cat may give something. The gifts that you receive from cats are stored under mementos. 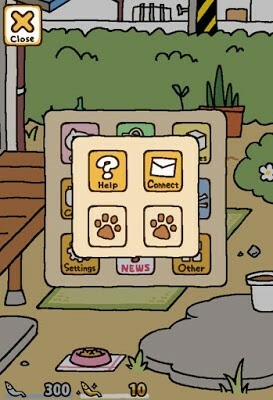 One drawback of Neko Atsume is that cats don’t appear in real time. You will need to close the app and open it after a few minutes to check whether kitties are playing with toys or not. There’s no set period of time. Buy and place toys on all empty slots in your yard. Close the app and wait. Check frequently. “S” means “Small” and “L” means “Large”. A small item can be placed anywhere on empty slots (circles), but a large item needs at least 2 empty circles and can’t be placed everywhere. There’s one area where you can place an “L” item. Some “L” items attract more than two kitties. Players don’t need a username to play Neko Atsume. They just need to open the app, place toys and wait for cats to come and play with them. Don’t fall for any resource cheats that are available online. Use the above password trick to get fish. Cats are attracted to food, and Whiteshadow is no different, no matter how stealthy he is. 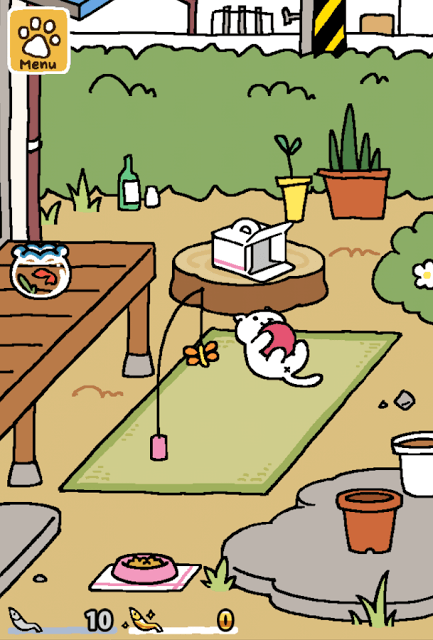 To lure him, you can put snacks like Ritzy bitz, Deluxe Tuna bitz and Sashimi on the cat food bowl and wait for him. One theory suggests that this ninja cat appears in certain remodels. However, it is difficult to spot him, thanks to his signature moves and the ability to hide plain sight. In the cafe remodel, you might see him hiding under wooden stairs and spying other cats (for reasons unknown). You may also spot him in the original remodel doing the same act, but this time his favorite place is the patio. Other remodels where you might spot him include Rustic, Modern, Zen and Sugary where he stands on top of objects scouting the entire area and keeping eye on kitties.